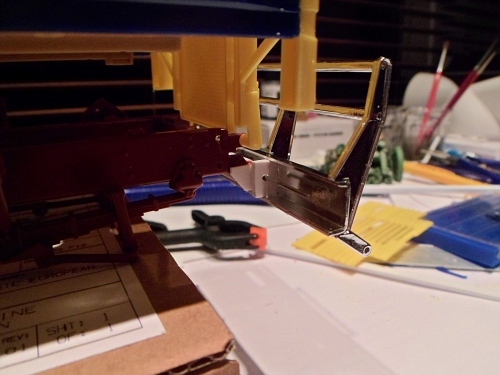 In Progress Models | modeltrucks25 | Fotki.com, photo and video sharing made easy. Using a cab from the former Australian company Jaymar (now known as North Coast Hobbies) I'm building a 1962 Ford F600. 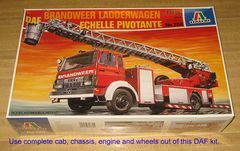 The chassis and drivetrain are from the Ford Louiseville Short Hauler kit. The Cartransport trailer is the AMT Haulaway kit. 1:43 Kenworth K123 with Box Trailer "Navajo Style"
While I started building the Fiat F170 back in 2003, I also started on the trailer to go with it. This weekend I decided to finish this one for Jabbeke 2010. I altered the suspension so that the trailer will have a backwards slope. The rear wheels can steer, I changed the rims, I added KFS walkways, moved the ladder to the back of the trailer and used thin plastic sheet to cover the seam on top of the tank. It is now almost ready for paint. 2015 Research I did for a possible new Italeri kit. Using the rear airsuspension of a XF kit I'm turning a DAF 95 into a 4x2 version. I've started this project in december 2002. Has been laying around a lot but I've started working on it again this summer of 2004. It is now 2006 and not much else has been done. Bought as a build up I'm restoring this great Mack kit into something better looking then it was. Also started in 2000 is this Peerless Log trailer. Very nice and special kit and with the reissue of the Mack R685 kit I have finally come up with an idea of what to make of it. I suggested Italeri to turn their T142 Australia kit into a R142 version. It would not take much effort. I am building it to show how it could be done. Out of the reissued Revell Volvo F12 Globetrotter I'm building a 1980s Australian version. Using the KFS Volvo F89 Transkit and parts of various kits I'm building a F89 rigid canvas truck as shown in the first picture. It has been over 9 years since I started this Volvo FH. I am now planning to have it finished for the Jabbeke show in March 2019. 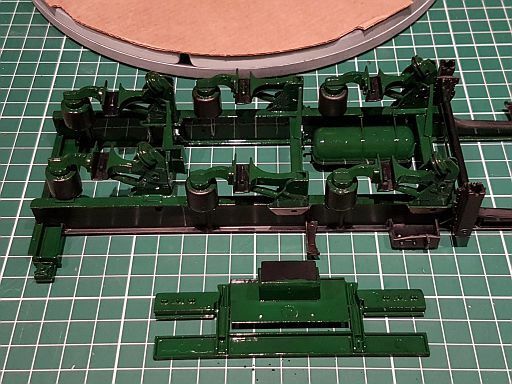 It is going to be a Dutch NWM tankcontainer truck.